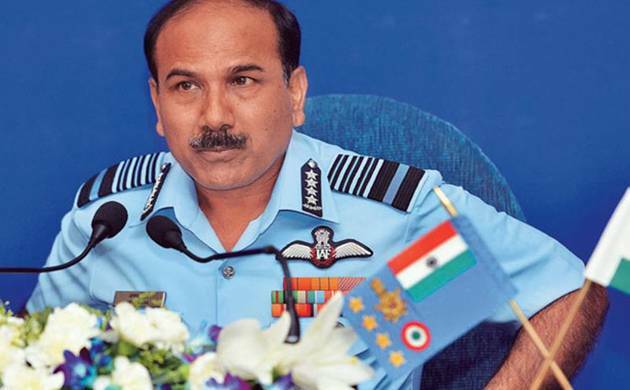 IAF chief Air Chief Marshal Arup Raha on Thursday indicated that Pakistan-occupied Kashmir (PoK) would have been India’s had the country gone for a military solution rather than taking a “moral high ground”. In unusually candid remarks, the Air Force chief termed PoK as a “thorn in our flesh” and said India did not follow a “pragmatic approach” to security needs. He said India’s security environment is vitiated and aerospace power, as part of the military power, would be required to deter a conflict in the region and also ensure peace and tranquillity. “Our foreign policy was enshrined in the charter of the UN, charter of the Non-Alignment Movement as well as Panchseel doctrine. “We have been governed by high ideals and we really did not follow a very pragmatic approach, to my mind, to security needs. To that extent, we did ignore the role of the military power to maintain conducive environment,” Raha said at an aerospace seminar here. He said India as a country was “reluctant” to use military power, especially air power, in deterring adversaries, in deterring a conflict and when involved in conflict the country has been drawn into several times in the past. “And when a military solution was in sight, taking moral high ground, I think we went to UN for a peaceful solution to this problem. The problem still continues. PoK remains a thorn in our flesh today,” he said. “In 1965 conflict, we did not use air power against East Pakistan because of political reasons despite Pakistani Air Force operating from East Pakistan attacking our air bases, infrastructure, aircraft on ground. We had severe setbacks but we never retaliated,” he rued. “But the situation has changed. We are ready to use air power to defend ourselves and deter a conflict,” he said.